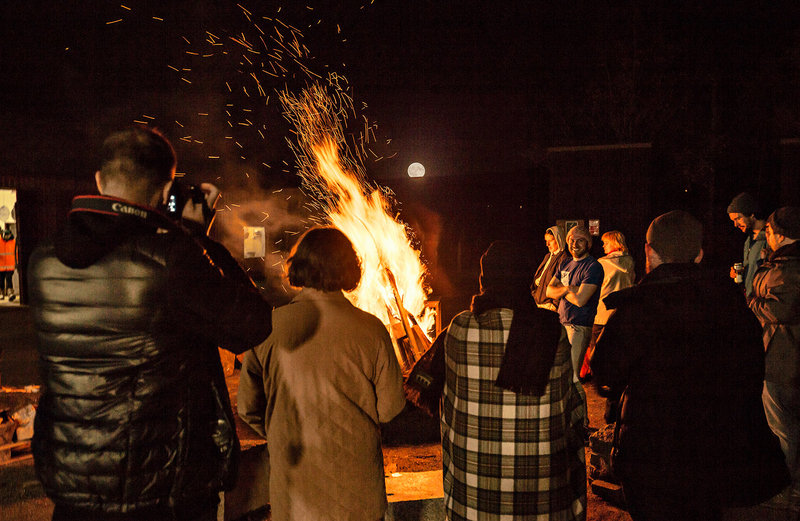 In the first week of November we brought the essence of Edge Effects back to SSW for the Lumsden Weekender, inviting people to come together and experience some of the permanent works made by artists on residency through Frontiers In Retreat. 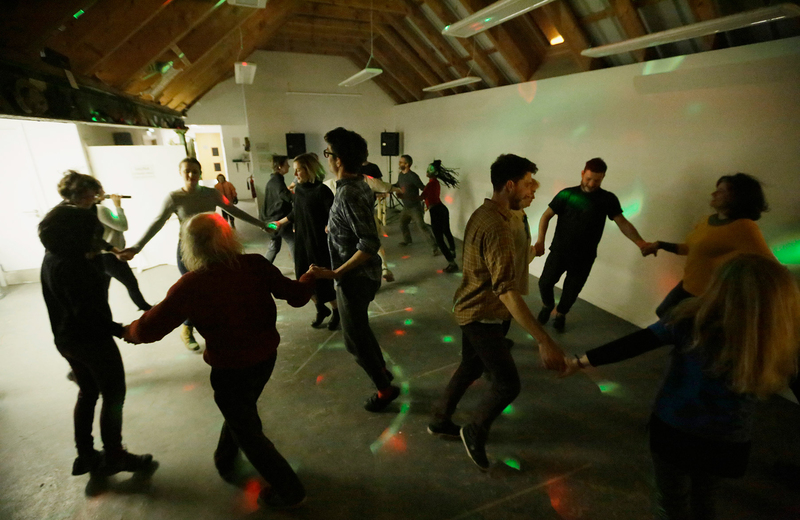 These works include Mari Keski-Korsu’s sauna, in which she developed her Beat to the Balance practice, Brett Bloom’s Camp Breakdown Break Down Council Circle and Bonfire, and the Edge Effects Library which holds a rich collection of resources curated by artists and arts workers from the project. The Frontiers in Retreat project has strived to generate a more complex understanding of the entanglements unfolding between locally articulated ecological concerns and larger, systemic, global processes. 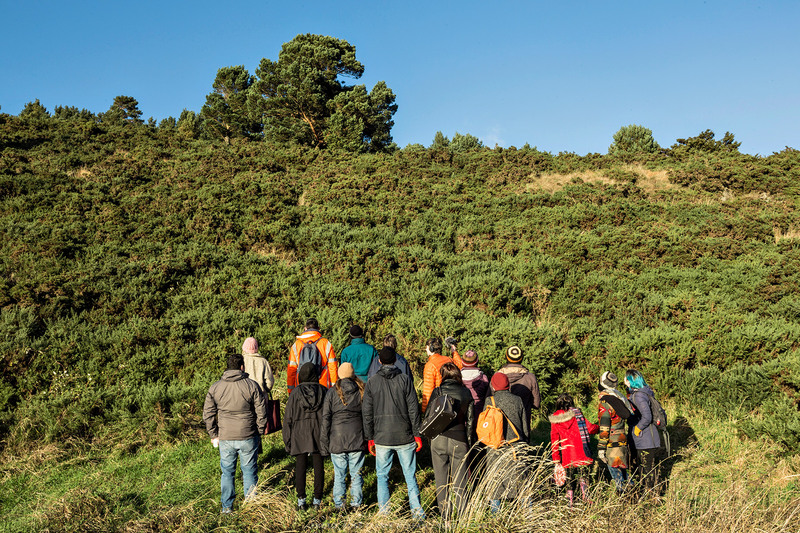 At SSW this has meant researching the local and specific ecologies of the North East of Scotland, and connecting them to wider issues such as global climate change. 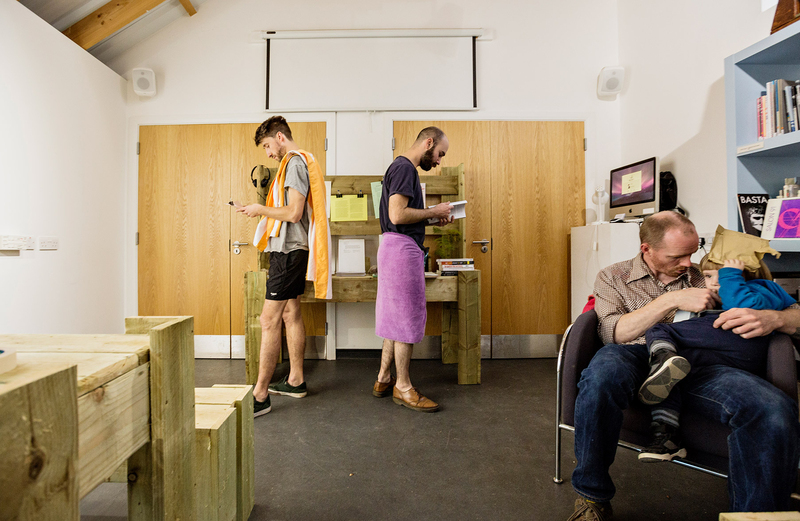 Deep Mapping, a research process and methodology utilised in the work of both FiR artist Brett Bloom and former SSW Director Dr Nuno Sacramento, used the village of Lumsden and the surrounding landscape as the site for exploring deep and situated knowledge of place. 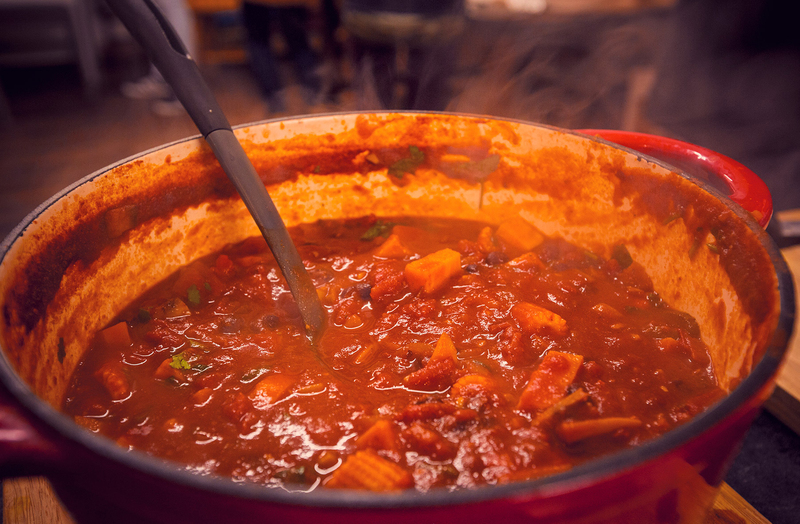 This is presented in the co-written publication Deep Mapping, which was launched during Edge Effects – Lumsden Weekender. 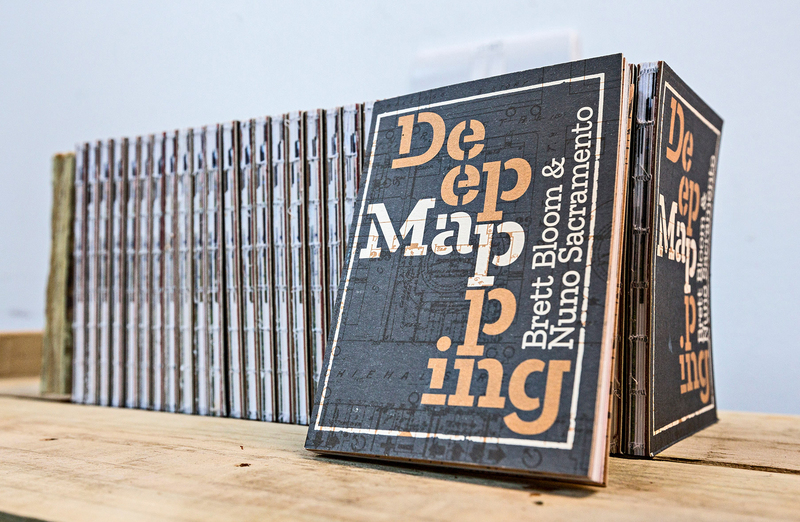 The book explores ‘Deep Mapping’ as a way of encouraging people to consider, question and explore how we inhabit landscapes and provides the ideas for radical and inclusive forms of map making. The SSW locality and associated knowledge has formed a key part of FiR, as has bringing together a diverse range of approaches, positions and practices. 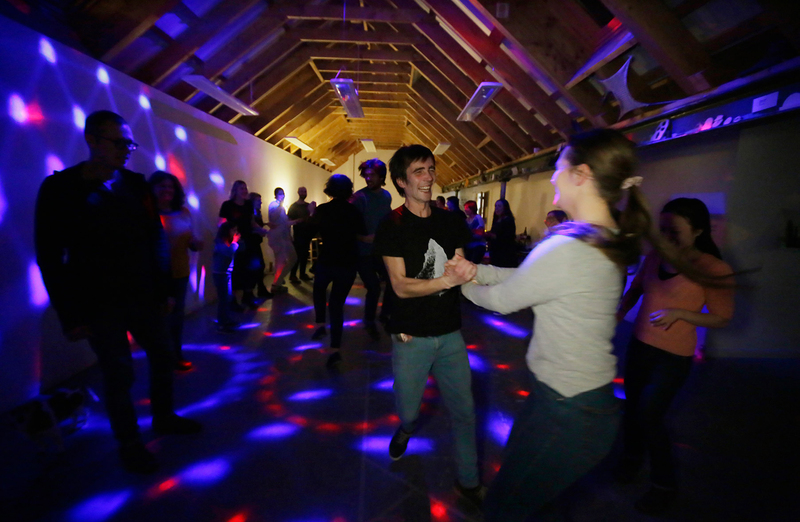 During Edge Effects – Lumsden Weekender this was highlighted through artist Nic Green’s Disco Ceilidh, a traditional Scottish gathering with an edge! 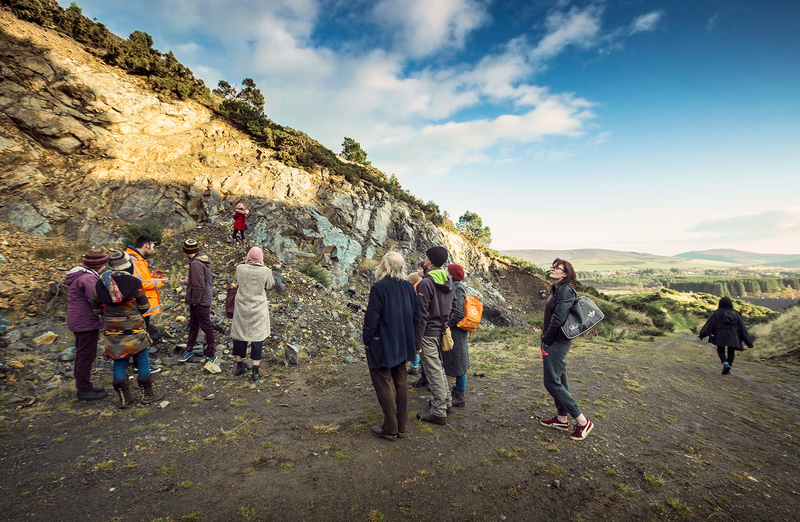 Importantly this weekend programme was an opportunity to reflect on the five year FiR project with local individuals, communities and audiences who engaged with and generously supported various artist projects. 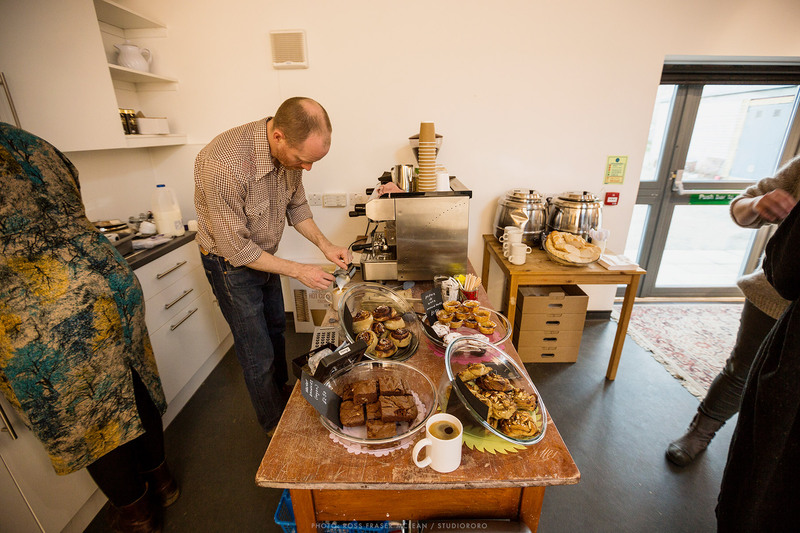 The weekender invited people to join us in a series of social activities, to discuss our relationships and how we continue to support and connect with each other, beyond the life of the project. Edge Effects Reading Groups; a series of reading groups led by invited artists responding to and activating the SSW Edge Effects library. 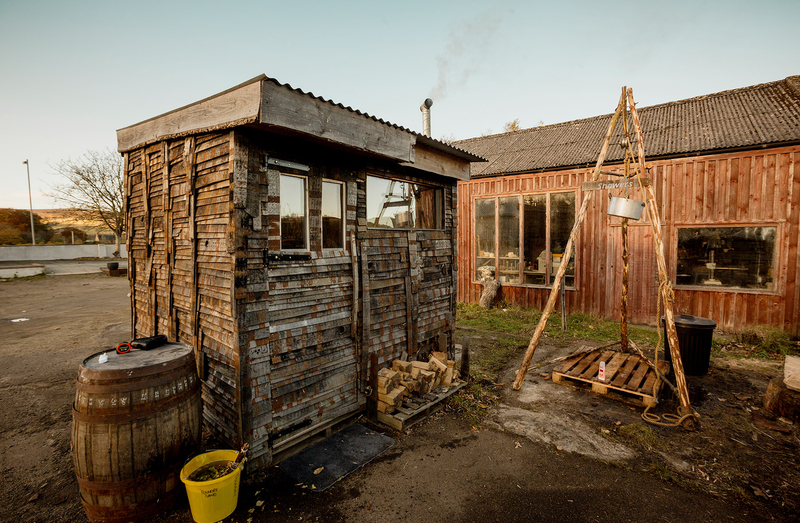 The Edge Effects Library is a collection of resources that has been curated by artists and arts workers who have been involved in Frontiers in Retreat. 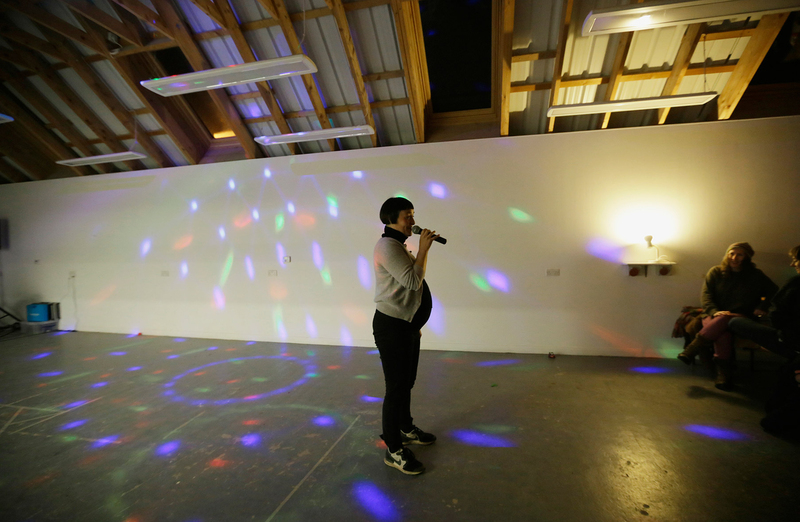 It has previously been exhibited and activated through SSW’s Edge Effects programme at CCA Glasgow and in Lumsden, and as part of HIAP’s Edge Effects Active Earth at Sejon Arts Centre Seoul. 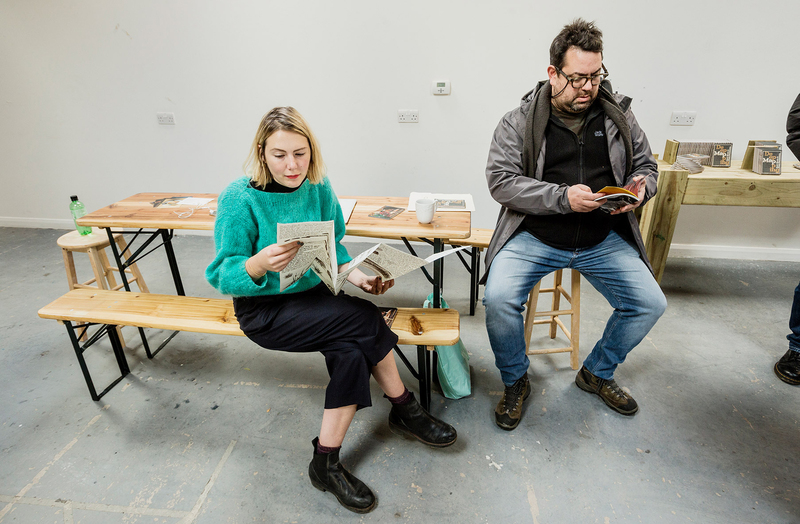 The Edge Effects Library now sits as a unique collection within SSW’s wider library and offers resident artists and local community access to this rich resource. SSW hosted a series of reading groups, which aimed to expand the ways that we engage in the critical discourses of arts and ecology. Each session was led by an invited practitioner, who used the Edge Effects library as a starting point to create a specially formatted reading group. 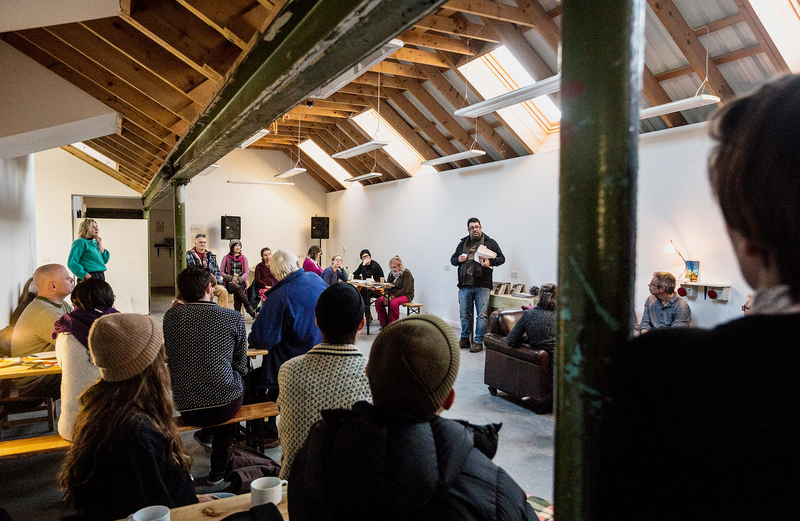 Support Structures: A Reading Group, was organised by curator Caroline Gausden and artist Kirsty Russell. This is a newly established reading group based in Aberdeen. The group is a gathering together of different perspectives on the issue of support, which at the same time considers text as a shared basis for acting in the world. Following on from their previous reading on Celine Condorelli’s theoretical interest in friendship as a support structure, this reading group will approach the question of other possible types of companionship through a look at Donna Haraway’s Companion Species Manifesto. In The companion Species Manifesto Haraway explores significant otherness by taking dog-human relationships seriously and works to demonstrate the importance of history through within nature-cultures by examining dog human worlds. She wishes to examine our evolutionary biology as a species by studying the other species that grow with us as our helpers, workers, threats/enemies and companion friends. Barry Sykes is an artist based in London. For this talk and reading group, Barry used the context at SSW to examine his recent and current projects in relation to ideas of Hermits, retreating, escape and detachment. Also considering how artist and audience navigate the dramatic shifts between isolation and engagement when presenting or understanding work and ideas. Barry’s artwork is about awkwardness, absurdity, authenticity and intimacy, with recent projects involving Laughter Yoga, West End Theatre, Pitman Shorthand and Naturism. His varied practice develops in response to the context of its making, whether in the isolation of the studio or immersed in conversation with a particular person, place or process. Adapting, subverting or misunderstanding deliberately basic or frugal handmade and digital techniques to trace a line around inappropriate or overlooked behaviour. Although rooted in sculpture, making and the object this open-ended approach has also incorporated performance, forgery, karaoke, astronomy, PowerPoint lectures, feedback forms and experimental photography. For this reading group, Barry selected two short extracts from Anthony Storr’s ‘Solitude’ (1997) from the Edge Effects Library, to be examined together using the ‘Close Reading’ technique. These were then contrasted with the example of the North Pond Hermit, a recently discovered recluse of 27 years, introduced by two readings by Barry from Michael Finkel’s ‘The Stranger in The Woods’ (2017). This was followed by one of Barry’s Sauna Reading Groups. 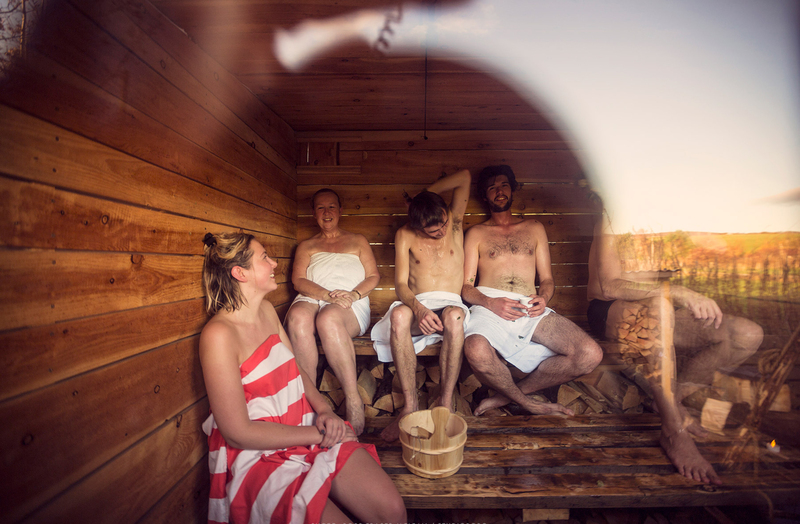 After the main session held in the library there was an optional post-discussion around the same (laminated) texts in the SSW sauna directly afterwards. Mele Broomes is an artist based in Glasgow. Broomes’ work experiments with the extremities of movement and voice whilst investigating her current contemporary practice of African Diasporic dance. Mele gave a short talk about her practice as a Black dancer in Scotland in reflection to Serendipity’s publication, Black Women in Dance: Stepping Out of The Barrier. “It’s tiring and exhausting having to explain to the art scene how problematic it is in terms of equality. I am not an academic. I work in the medium of movement but have some how been caught having to theorise my existence as Black Women in the arts to help others understanding, tying not to loose sight of my practice. There is serious lack of understanding and engagement so I feel compelled to build bridges in creating space for new understandings to support myself and others alike. Frontiers In Retreat is organised by HIAP – Helsinki International Artist Programme in partnership with Mustarinda, Finland; Scottish Sculpture Workshop, Scotland; Interdisciplinary Art Group SERDE, Latvia; Cultural Front -GRAD, Serbia; Centre d’Art i Natura de Farrera, Spain; Skaftfell – Centre for Visual Art, Iceland; and Jutempus, Lithuania.